Editor’s Note: With more people opting to save money with Airbnb and Casa Rural (rural house) rentals when visiting Spain, it’s difficult to know how to stock your wine cooler. Enter any retail shop or supermarket and you’re flooded with options. Hence, this guide is a precursor to your next trip – a helpful “how to” model to seamlessly ease you into a relaxing and wine filled vacation. Much like your Airbnb rental, 45 sq. meter bachelor pad in downtown Logroño is not the place to have a full-on cellar with a long-term wine collection; no place to take wine consumption seriously. Many in my position would just buy wine as the occasion or need arose, but being an aspiring wine-geek with an empty wine cooler at home, I suffer from a rare case of horror vacuii. Keep in mind that what we’re talking about here is cellaring wine in the short to medium term, of those Spanish wines you should always keep near-at-hand to be drinking straight away. Its all about having my favorites at home as well as other options suitable for any occasion. Typically, if you’re going to rent an apartment while on holiday, you’ll most likely cook a handful of your meals there as well. And if you’re going to eat at “home”, you’ll want to drink there as well. Hence, it’s smart to keep a stock of red and white wines to combine with your everyday meals. I tend to look for reliable wines that are easy to find and affordable. 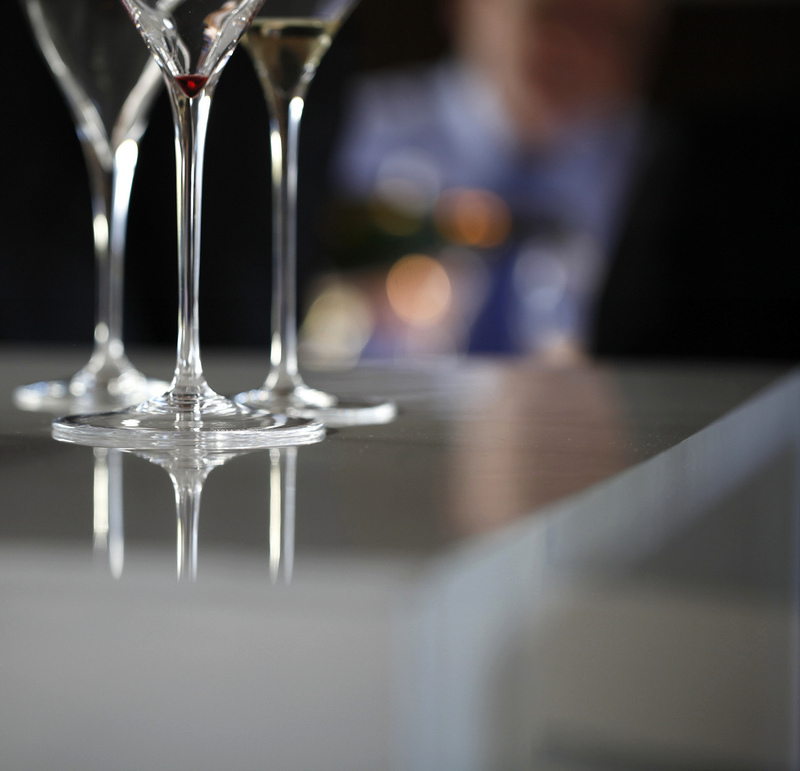 The focus will be to buy three or four bottles at a time and regularly rotate them as quickly as I drink them. Purchases will depend on the season and cooking style. Now that its colder, along with classic Crianza from Rioja (my staple, my go-to wine); some medium bodied, lightly oaked and ready to drink versions of Tempranillo from DO La Mancha or DO Valdepeñas will make their way into the lineup this winter. The wines from these regions are affordable and pleasing…just remember to look for DO status on the label! Regarding whites, a crisp Verdejo from DO Rueda and a fresh stainless-steel fermented Viura from DOC Rioja are consistent and not overly pricey options. These wines are easy pours, palatable wines that don’t require a lot of thinking. Simplicity and comfort are the key. No Spanish-themed wine fridge is complete without a couple bottles of Cava. 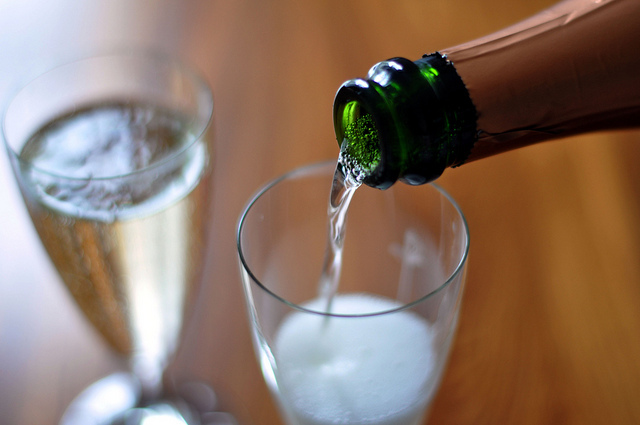 Ideal for celebratory occasions -yet not exclusively- the multi-regional DO Cava is probably the best known sparkling wine from Spain. Made with mostly indigenous Spanish grapes (Xarel.lo, Macabeu -Viura- and Parellada) and sometimes adding international varieties, the non-vintage wines of some of the larger producers in Cataluña are household names here in Spain. The bone-dry Brut and Brut Nature styles are my favorite among the big names; nevertheless, stocking a couple bottles of vintage or aged Cavas from smaller producers -they go a step further in quality and complexity- is always a good idea as an alternative. Pink Cava (cava rosado) where red grape varieties like: Pinot Noir, Garnacha or Monastrell are added to the blend is also becoming very fashionable… It wouldn’t hurt to have a couple of bottles on-hand, as it also works as a gift to your host or a romantic wine to share! Having a couple of bottles of stronger reds and whites with more depth is another essential for those who like entertaining or have a thick steak prepped for the grill. The more modern and full-bodied wines from DO Ribera del Duero are staples in this style among the reds, yet there is a great diversity of Spanish wines available in this genre. DOs and red varieties like Toro (Tempranillo/Tinta de Toro), Bierzo (MencÌa) or Calatayud (old-vine Garnacha) are big and bold and will work well with lamb, grilled red meats (recipes), chorizo (recipe),… Concerning food whites, barrel fermented whites from DO Valdeorras or DO Montsant are quickly becoming an outstanding option along with the (in my opinion, fundamental) bottles of barrel aged whites from DOC Rioja. Living in Rioja, where I can readily buy an eight year-old Gran Reserva wine at the neighborhood corner store, the idea of having a cellar in the traditional sense seemed quite anachronic. Not a being a very long-sighted consumer, I never kept bottles of my favorites and find I miss some of the memorable Riojas from the 1998, 2001 and 2005 vintages (happily, I can alway’s raid my father’s cellar for these gems). One of the things that makes wine unique is its diversity; new DOs, new producers, new wines and new grape varieties or blends are popping up everywhere, so experimenting and tasting new things is important. Being my group of friend’s wine expert, they’re always expecting me to open new, different and un-common wines that I’ve come across and liked. Among the up-and-coming DOs I’m diving into are: the newer single-variety white wines from Rias Baixas (Godello, Caiño Blanco, Louireiro,…), the Garnacha Blancas from DO Terra Alta and the MalvasÌas from DO Lanzarote. Among the reds, Monastrell from DO Yecla and DO Jumilla or Bobal from DO Utiel Requena. The idea is to buy two bottles, drink one and pour it for my more wine-oriented friends as the occasion arises. Get experimenting and discover your own favorites! 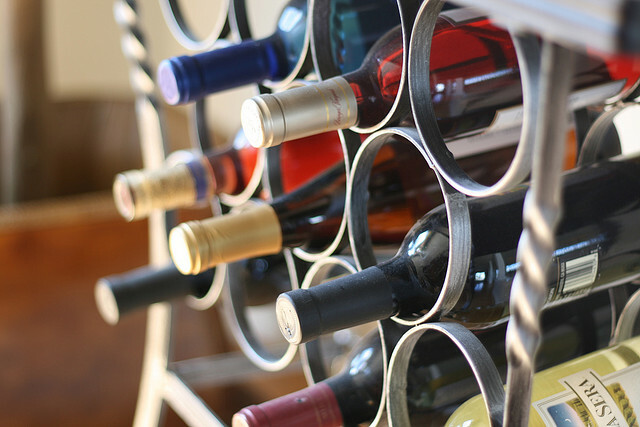 In summary, if you’re renting an apartment while on holiday, be savvy when stocking up on wines. There’s no reason for you to buy whatever is on the shelf because you’re unsure which is the “best”. Instead, take the suggestions I’ve provided above and experiment, explore and discover what you enjoy most. Again, there’s no “right” answer, but there definitely are some safe bets.